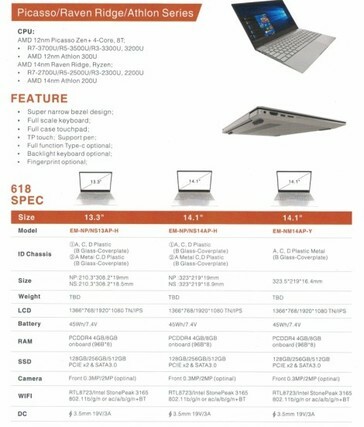 Laptop OEMs like Emdoor are looking to get around the Intel 14 nm CPU shortage by adding AMD-powered lineups. Thus, for 2019, Emdoor will first release some entry-level SR218 models powered by the older Stoney Ridge CPUs. Later on, when the Zen 2 CPUs get released, Emdoor will also launch a more advance AP618 lineup powered by Athlon, Raven Ridge and the new Picasso CPUs. As the shortage of Intel 14 nm CPUs is expected to last until Q2 2019, most device integrators are now looking into AMD’s alternatives. 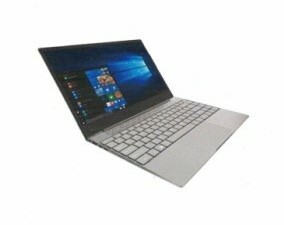 Take for example Chinese OEM Emdoor that has been providing solely Intel-based laptops ever since it entered the market. Emdoor’s current Kaby Lake-G lineup is expected to be affected by supply problems and the company is now willing to circumvent this issue by adding AMD-powered models. Emdoor intends to release an SR218 lineup featuring four 13-inch to 15-inch entry-level models powered by the older Stoney Ridge CPUs. The company is also planning to launch the AP618 lineup with Raven Ridge, Athlon and Picasso processors later this year, as soon as the Ryzen 2 chips become available. 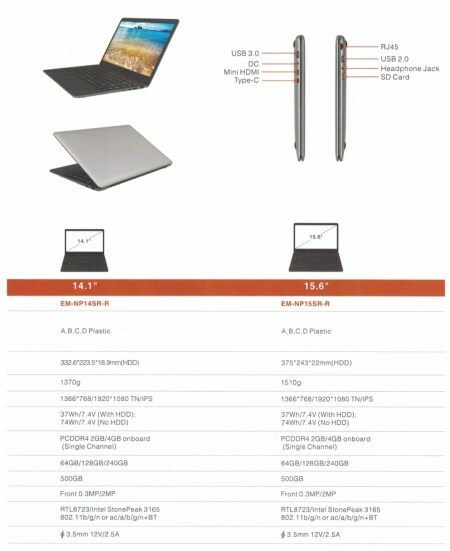 This lineup will include 6 models with sizes ranging between 13 and 15 inch and the CPU options includes models such as: the Athlon 200U, Ryzen 3-2300U/2200U, Ryzen 5-2500U, Ryzen 7-2700U, Ryzen 3-3300U/3200U, Ryzen 5-3500U, and Ryzen 7-3700U. Standard features for all AMD-powered models include FHD displays with narrow bezels, up to 8 GB od DDR4 memory, and up to 512 GB SSD storage. Optional features like backlit keyboards and fingerprint sensors are only available for the higher-end models. Additionally, Emdoor will offer 14-inch convertible models with similar specs and slightly slimmer chassis. No word on pricing for now, but keep in mind that Emdoor actually sells their devices to select customers that rebrand and resell them afterwards, so laptops like these may pop up on crowd-funded sites rather than the usual retailer channels.